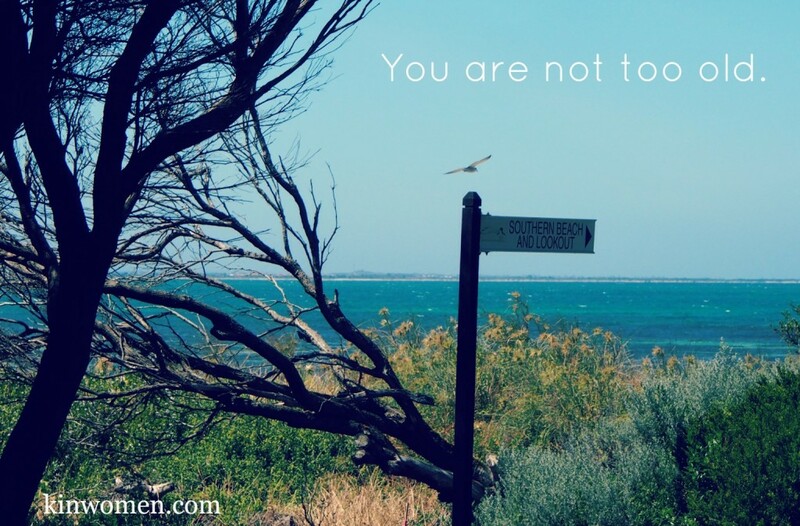 Home » Kin Blog » 2015 Jan: Today » You are not too old. In 2014 my Grandmother turned ninety one and she honestly is the bravest woman I know. Yes she is legally blind but she lives alone in an apartment, she travels an hour every Tuesday for a mosaic class and she went to Bali in August for a holiday. I asked her ‘Grandma, what was your favourite part of the trip?’ she said with a cheeky grin ‘I had a massage every single day!’. I have found the older I get, the more hesitant I am in trying something new. I thought it would be the other way round, because I thought it would be the older I got the braver I would be. I hoped that I would have learnt that people come and go, life keeps moving on and in the end those things that worried me just don’t really matter any more. 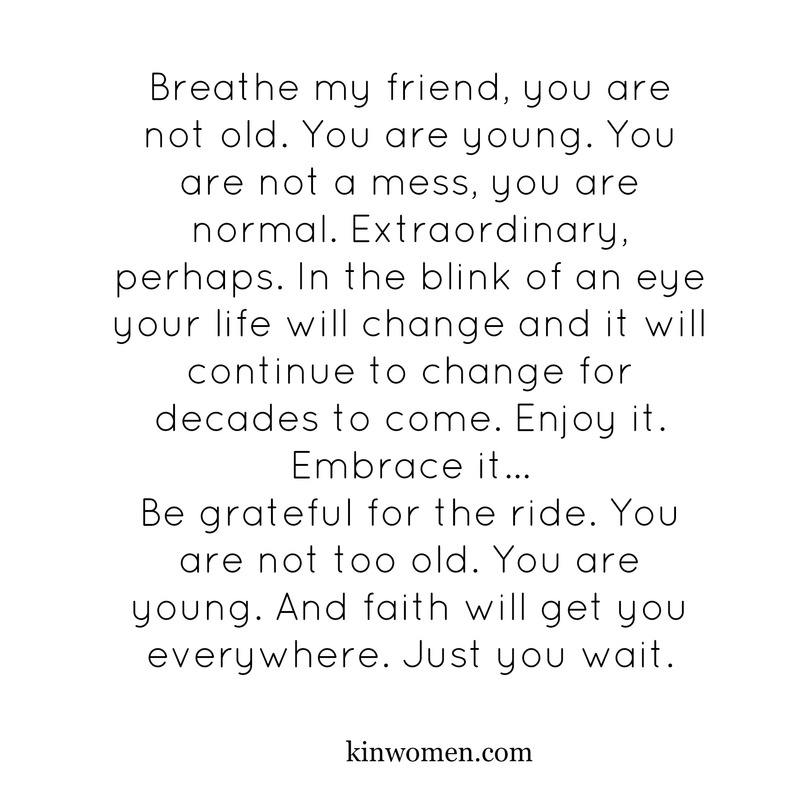 As I gain perspective and chat with friends who are living brave no matter their age I decide that I want to do it a little different. I am determined to start forgetting my age and living the life I want to. Deciding to live in the moment, trusting my journey and taking brave steps towards new and glorious opportunities. You are today the youngest you will ever be and also today you are the oldest you will ever be. So if you think about this moment right now and those dreams you have been putting off because of an age problem, it doesn’t really make any sense. You are not too old and it is not too late to dive into your increasing depths where life calmly gives out its own secret. Let go of that offence.